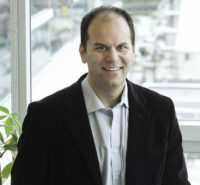 Dale Bracewell is the Manager of Transportation Planning for the City of Vancouver (Canada). Dale and his team lead the citywide and community planning implementation of Transportation 2040, the city’s long range transportation plan for all modes, including funding strategies and coordination with regional and provincial transportation plans and policies. Dale previously led the City’s Active Transportation team responsible for the city’s pedestrian, bicycle, and greenways networks as well as Vancouver’s transportation planning and operations for the 2010 Olympic Winter Games, one of the largest stage events in the world. With over seventeen years of transportation planning and design experience, Dale is a Professional Engineer who has worked for both municipal and provincial governments as well as the private sector. He currently enjoys working in one of the world’s most livable cities encouraging and realizing sustainable transportation legacies for Vancouver.